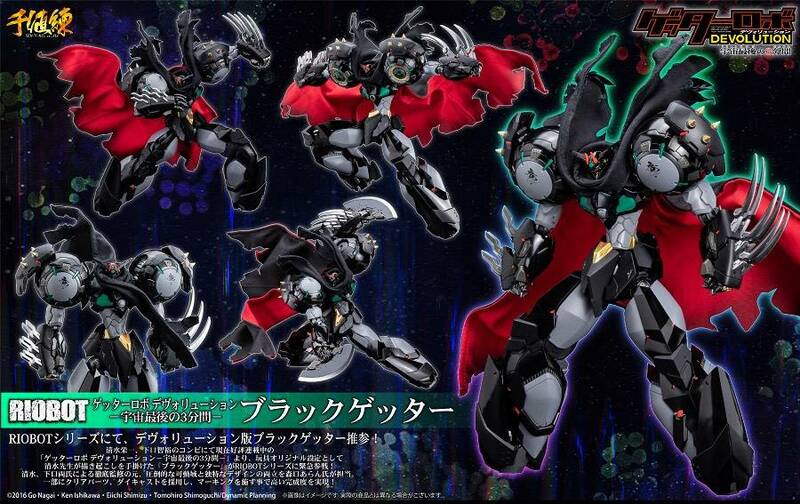 'Devolution Ver. 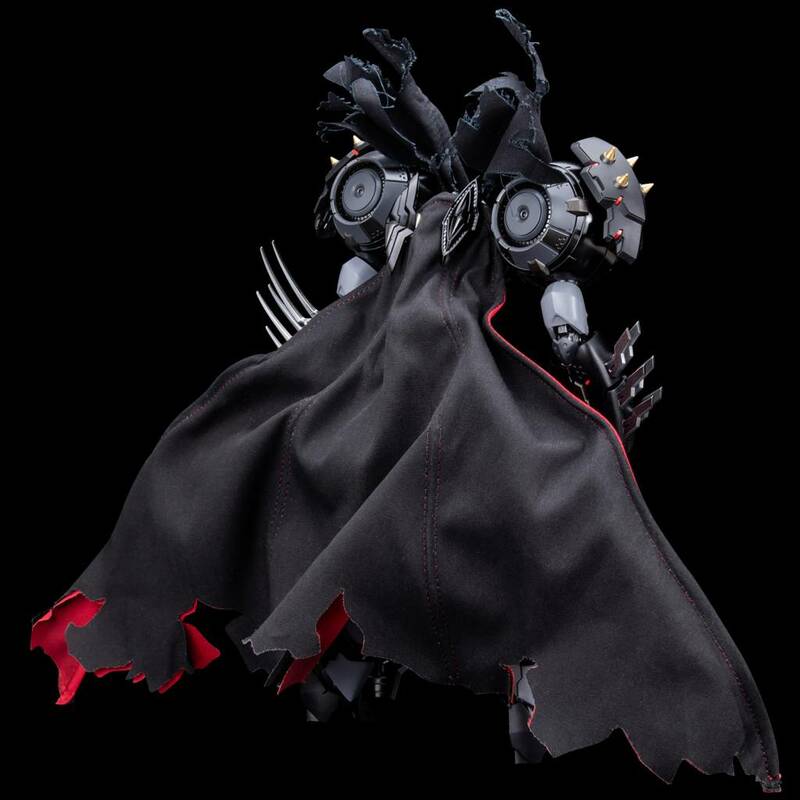 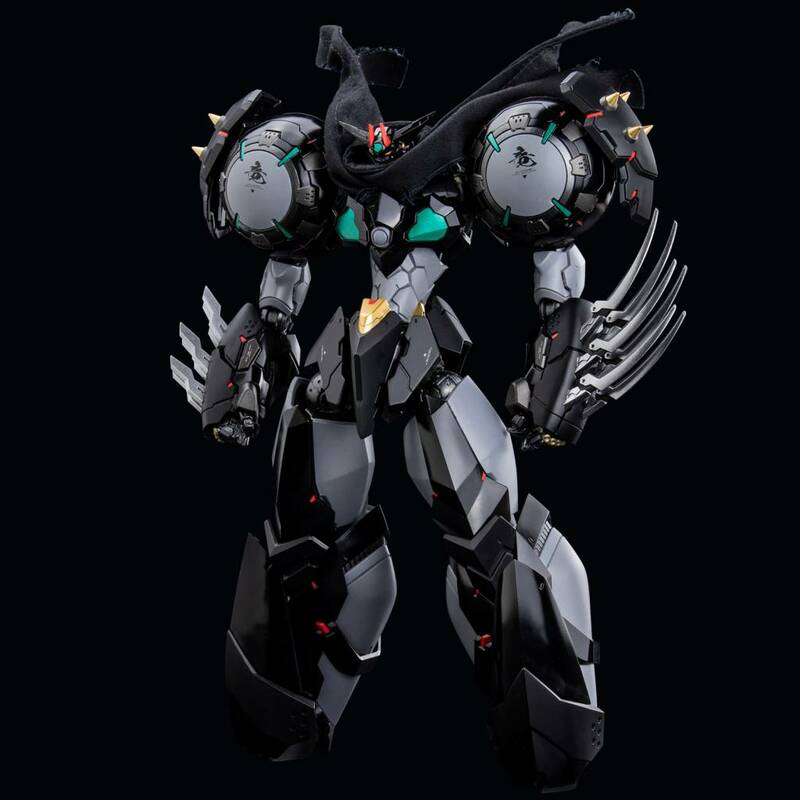 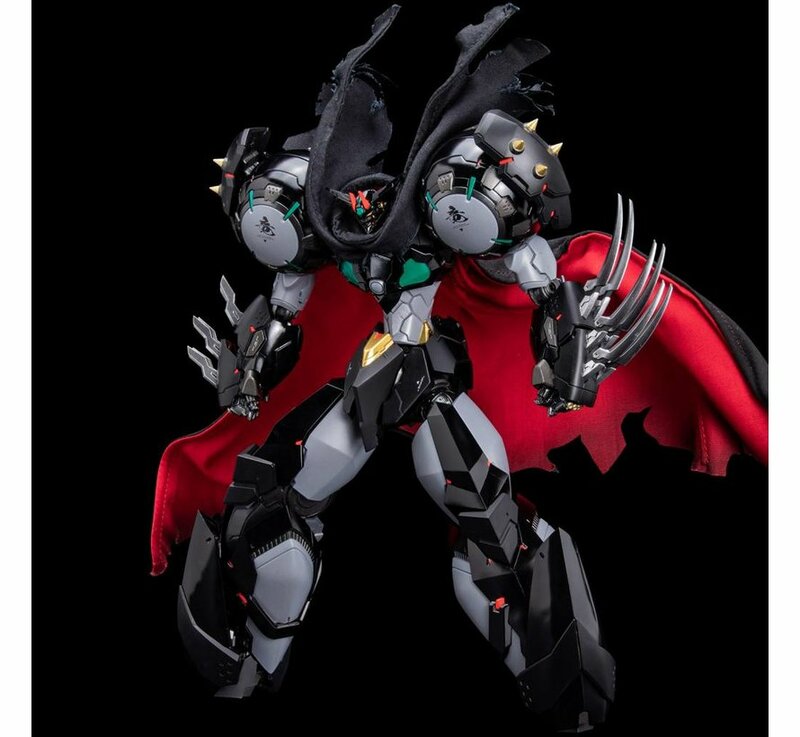 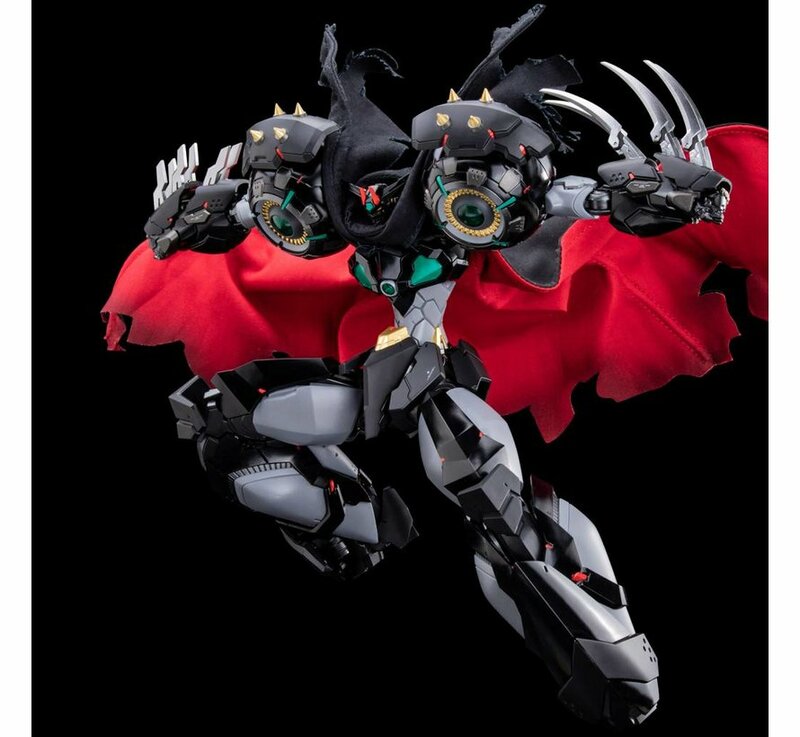 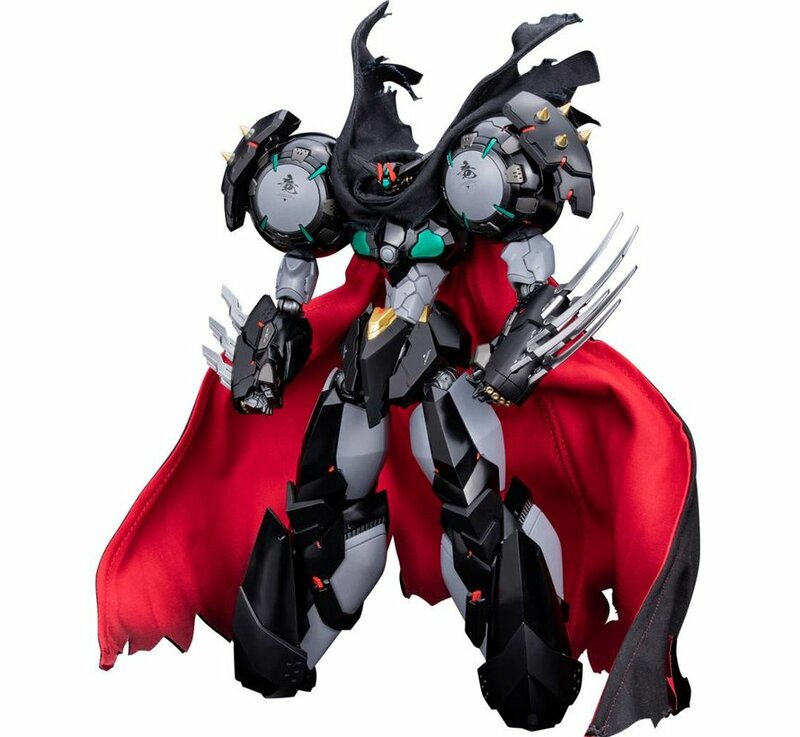 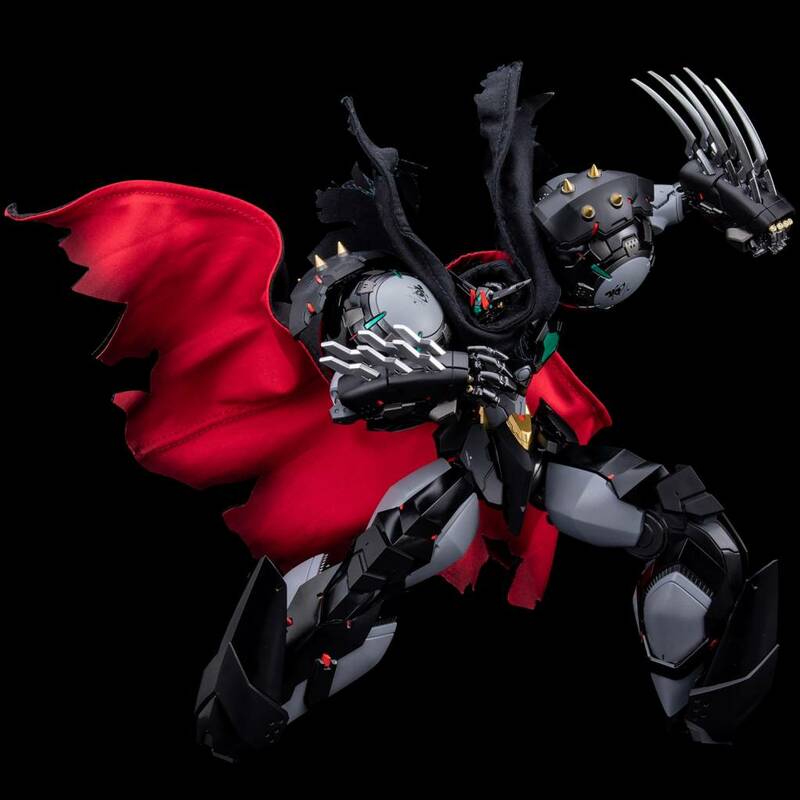 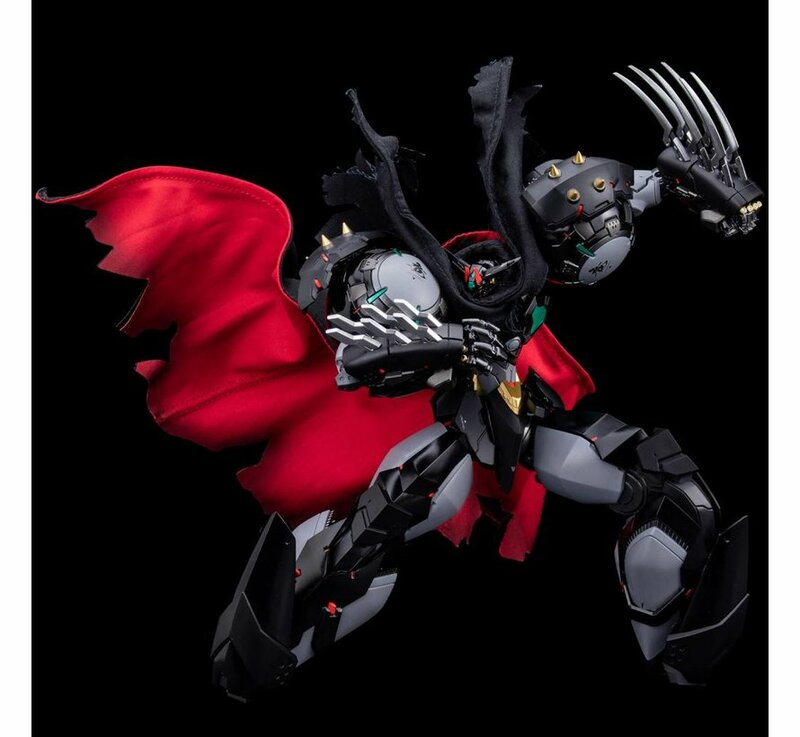 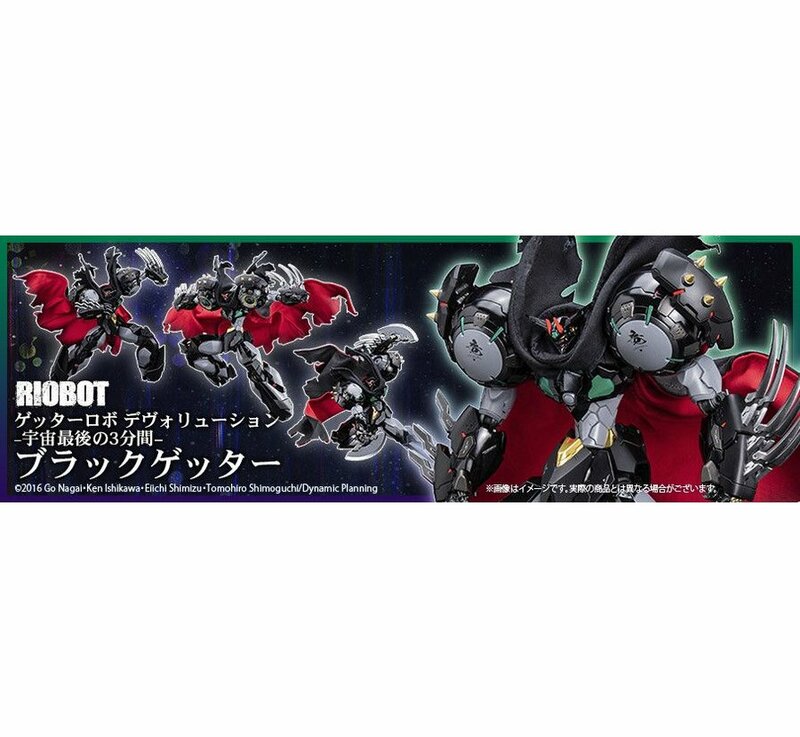 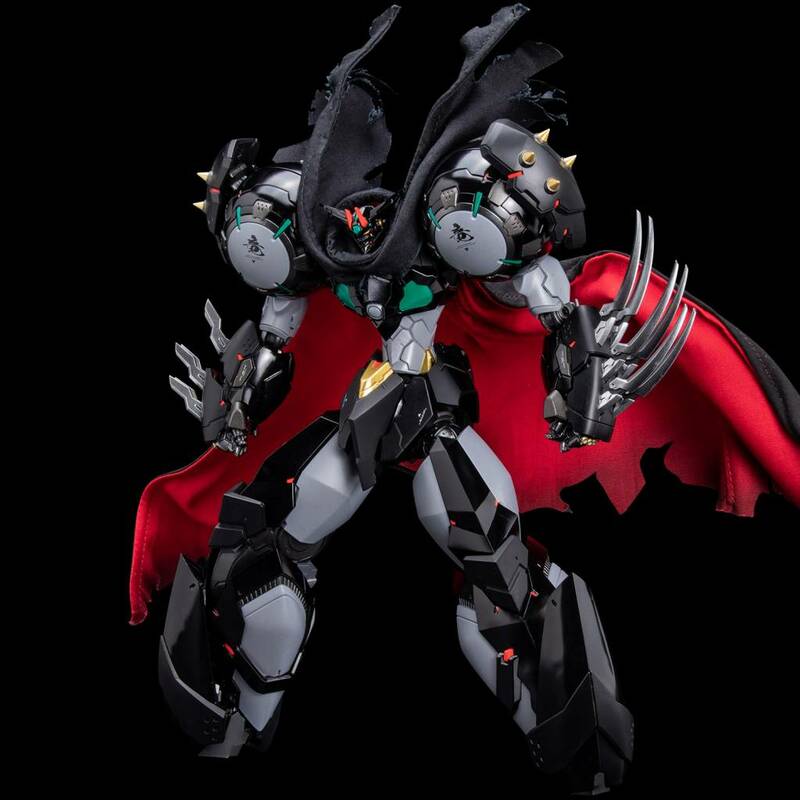 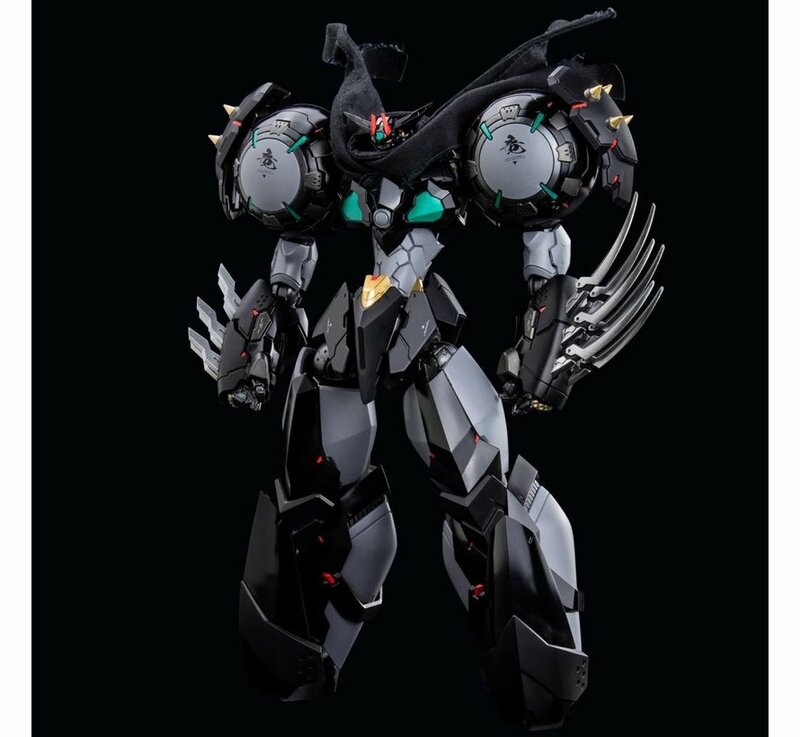 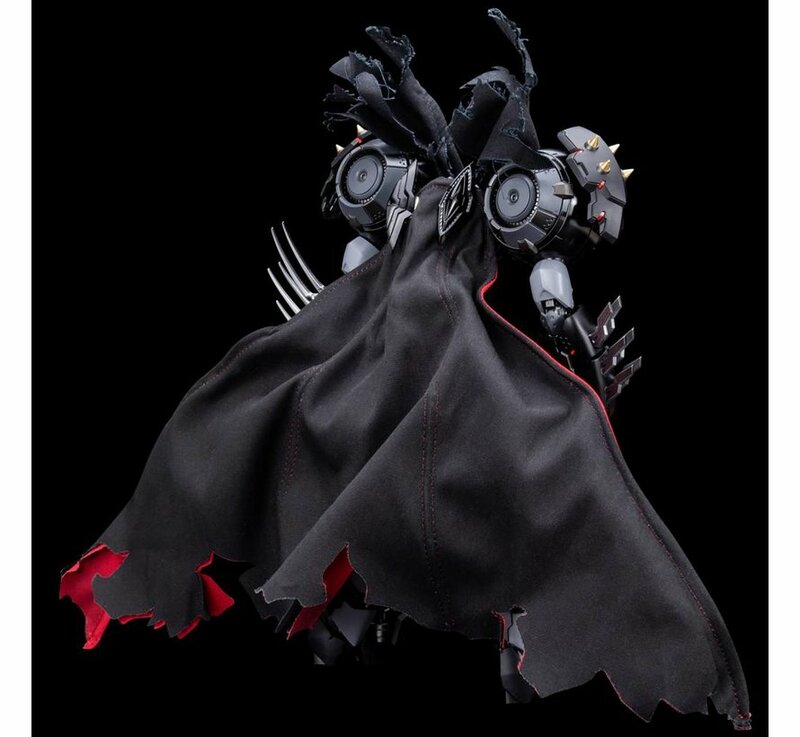 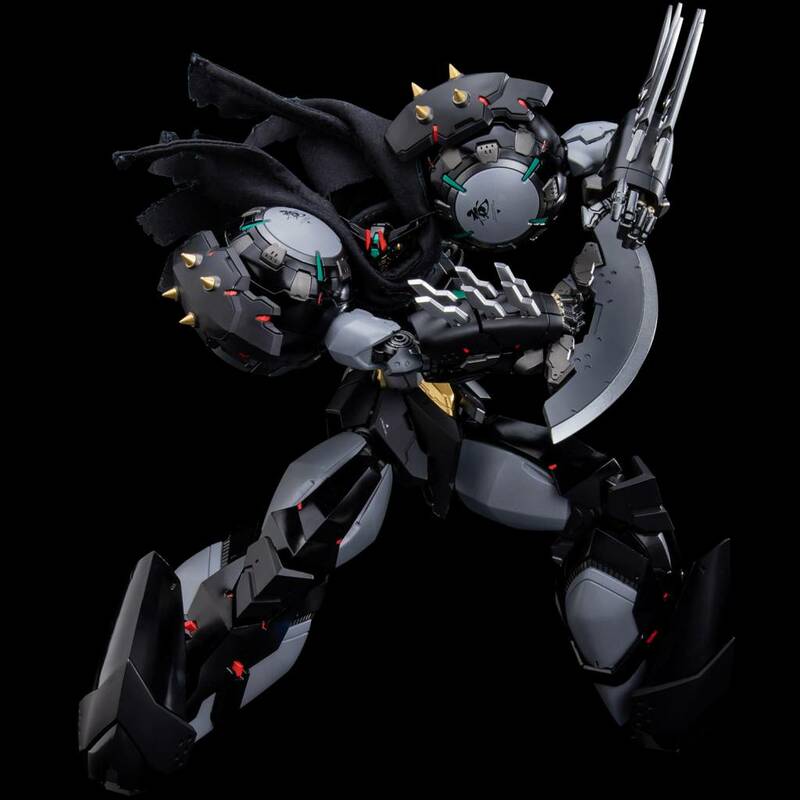 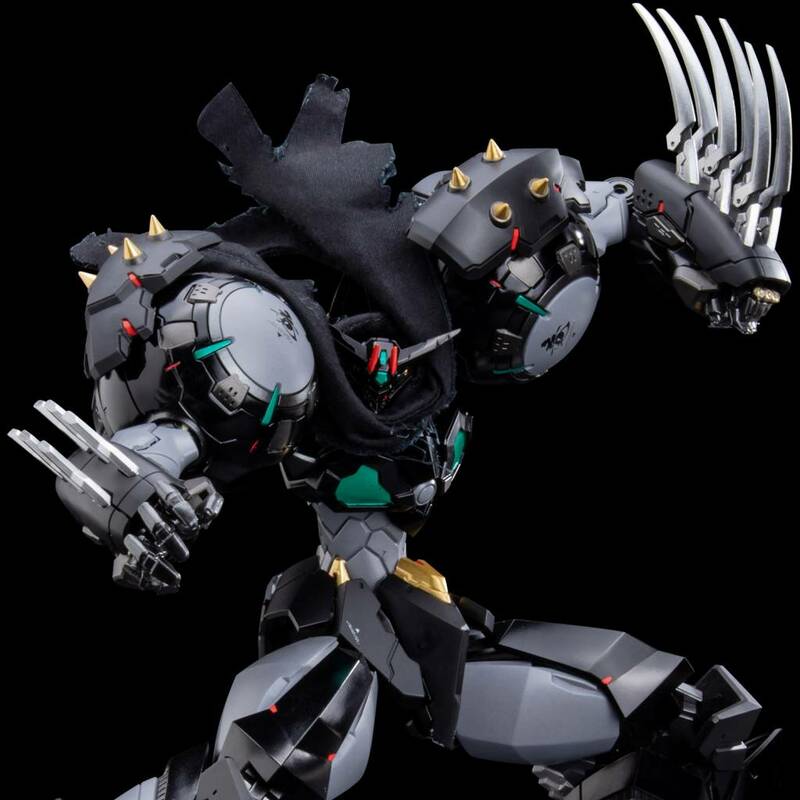 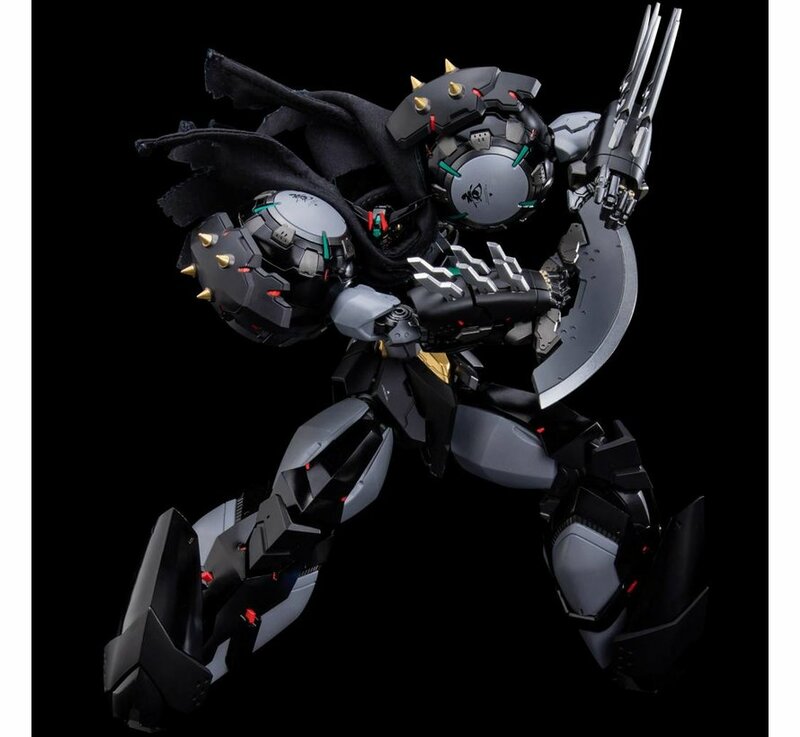 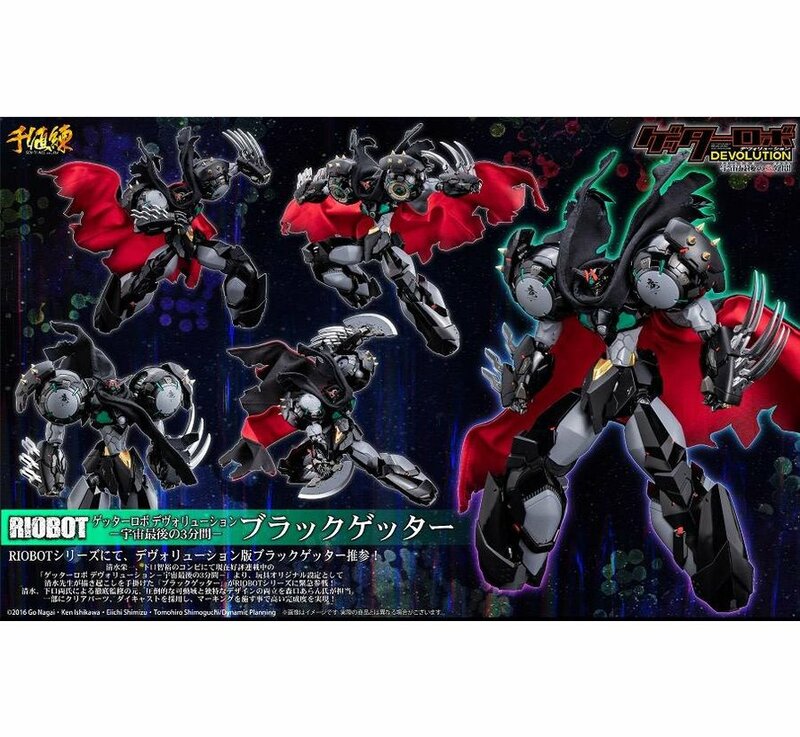 Black Getter comes to the RIOBOT series! 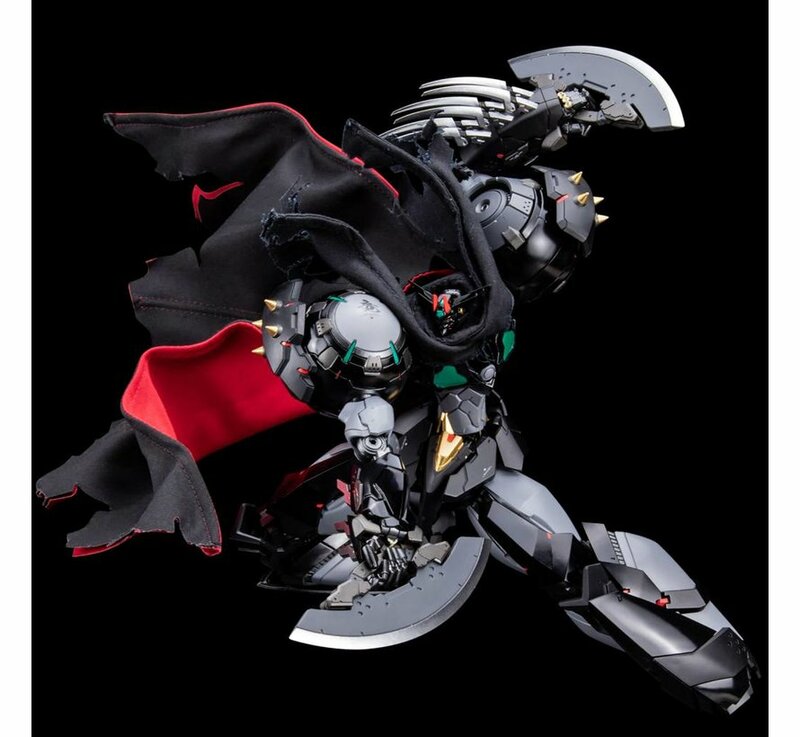 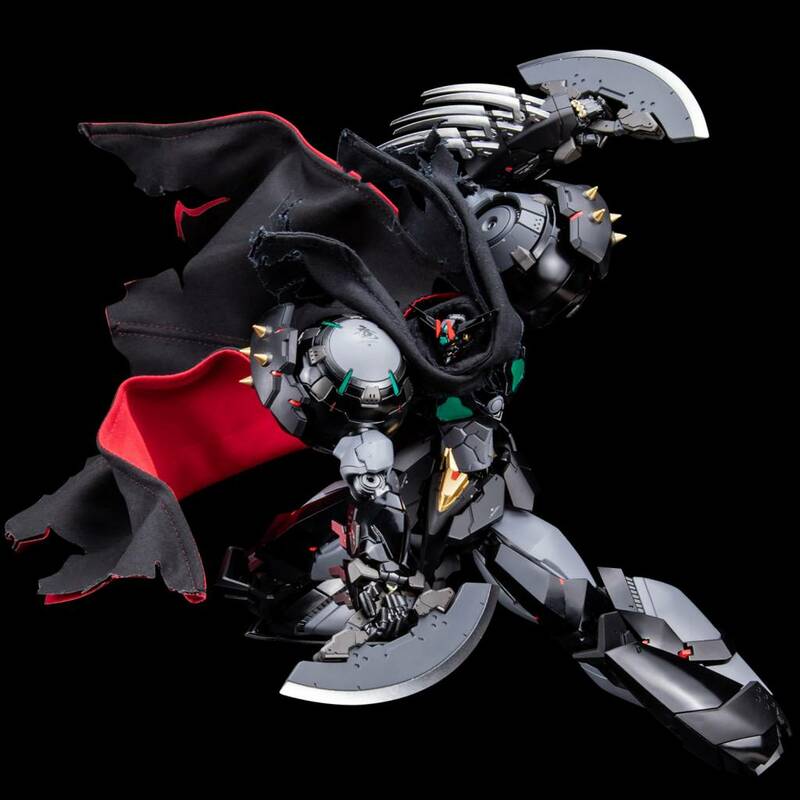 From Eiichi Shimizu and Tomohiro Shimoguchi's popular ongoing manga series "Getter Robo Devolution-The Last Three Minutes of the Universe-", "Black Getter" drawn by Mr. Shimizu joins the line-up of the RIOBOT series as an original toy setting! 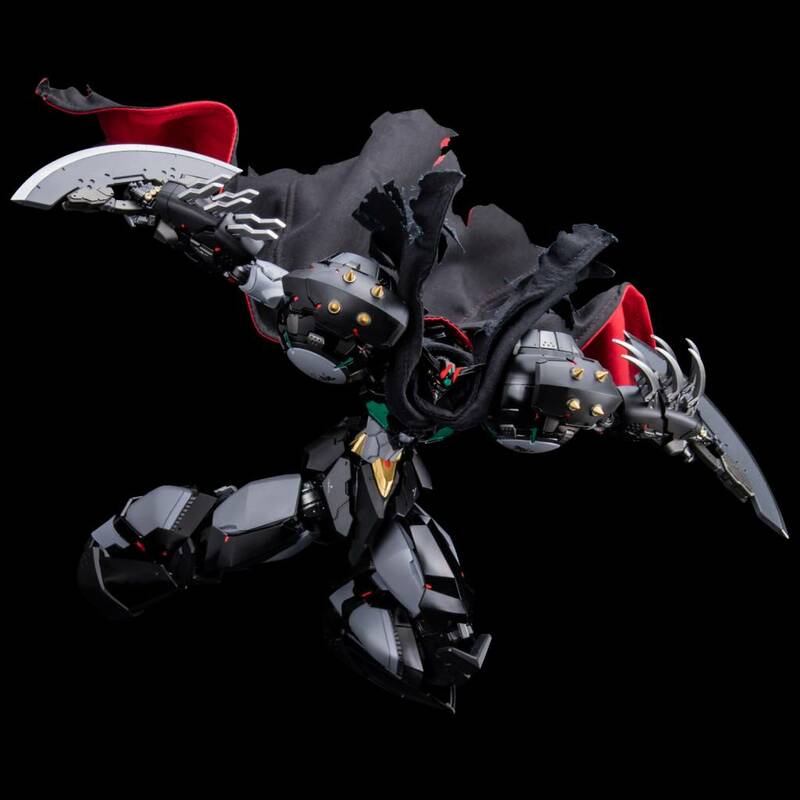 Under complete supervision of Mr. Shimizu and Mr. Shimoguchi, Alan Moriguchi is responsible for striking a balance between overwhelming articulation and unique design. 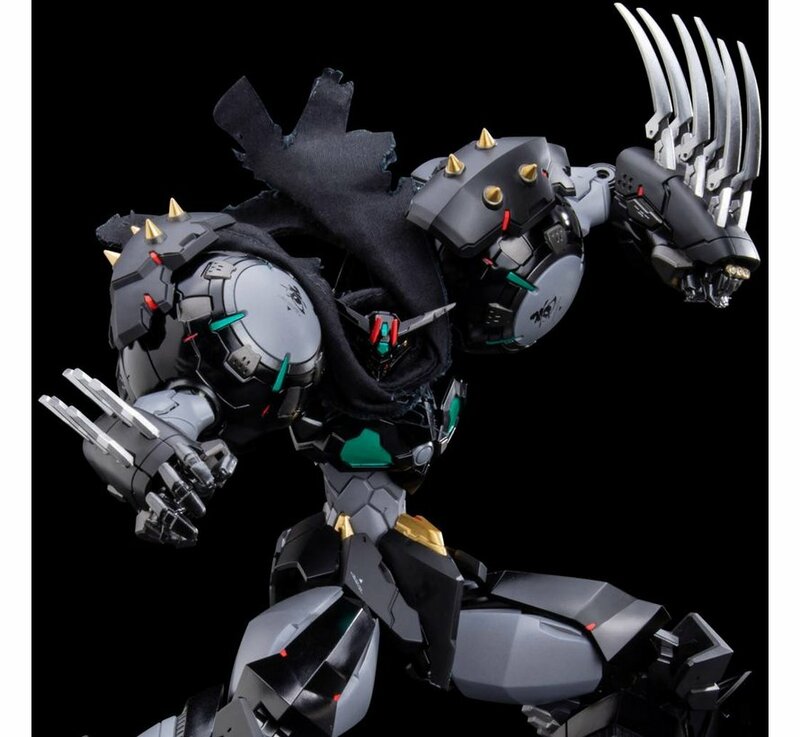 A high degree of completion is achieved by the use of clear type materials and die-cast together with detailed markings on the body.